Confession time! I only do about 90 minutes worth of cardio a week because…i cant stand it. I know, I know! I’d rather lift weights so running/spinning/allofthat is like pulling teeth for me. However, I need to get my rear into gear because I signed up for a Tough Mudder race and don’t want to die. They call it the “toughest event on the planet”. You may be thinking to yourself, “if you aren’t the biggest fan of cardio, why did you sign up for a race?”. Valid question. The answer in one word…wine. Everything sounds like a great idea after a glass or two (or three). Sure why not? I could totally see myself running through and jumping over flames. AND I get to do that before throwing myself into iced water. That sounds like a WONDERFUL time. I haven’t had a sip of vino since then. I’m really hoping the ‘fro doesn’t get singed. Heaven help me! 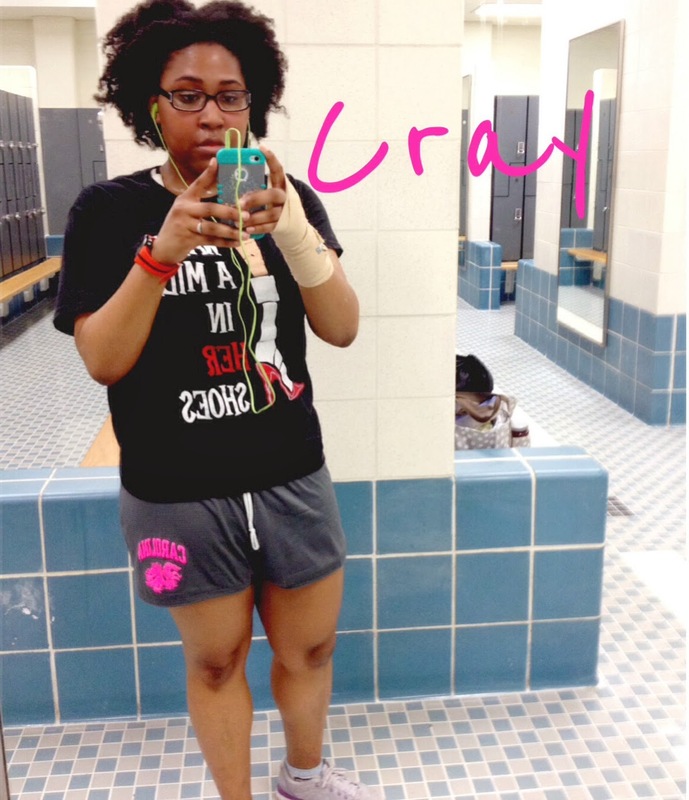 Yesterday, I got all geared up to go the gym and hit up the dreadmill or elliptical. I was like the Little Earl-Leigh That Could. I KNOW I can. Fail number one: the only machines available were stairmonsters. Fail number two: I wore my fro out at work and forgot to pack a headband. *sigh* I hustled my booty over to one of those dang machines and got my climb on. Diana Ross style. I’m sure that people were looking at the nut with her hair out. Ha! Y’all…I did it. Last night I pulled the trigger and posted the dreaded bikini pictures on my bodyspace account. Now the anxiety is gone. I can continue on with the 100k Challenge without the fear of some pictures looming over me. You can’t hide behind a bathing suit (trust me, I tried), so I understand why the shots are highly suggested. You can see the photos here if you’re curious. I wont subject y’all to my nekkid self here! Ha! Let’s Stop Telling People to Not Get "Too _"
oh girl I HATE the treadmill. I love that the weather is so much better here in Florida and I can walk again outside. I'm a wimp when it comes to the cold. I'm trying! And of course…I forgot my headband again the next day. LOL! Consistency is key, right? Me too! My husband claims it better to run/walk outside when its cold because you warm up. Pfft! LOL! That makes me want a hot cup of chocolate…not good!